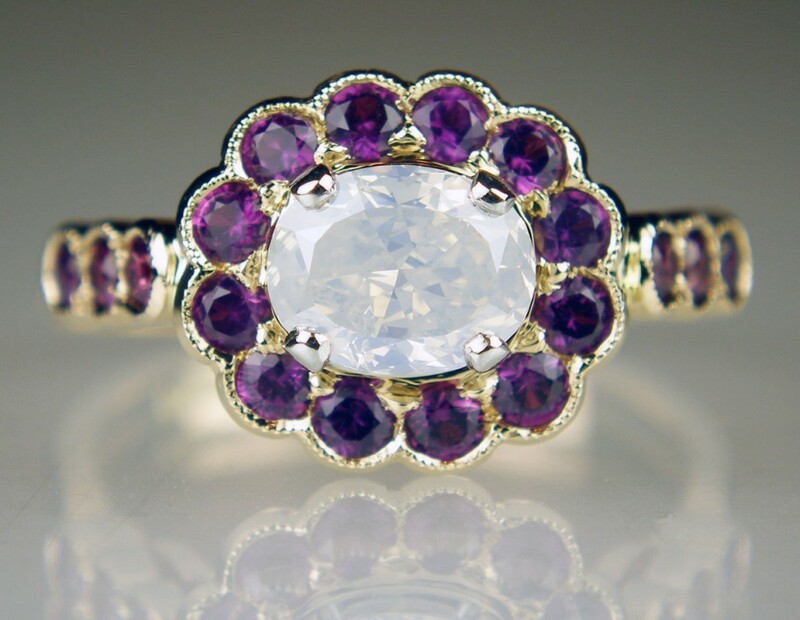 11.76ct concave cut rectangular kunzite mounted in 18ct rose gold, and a 0.4ct cushion cut natural blue sapphire in 18ct white gold. 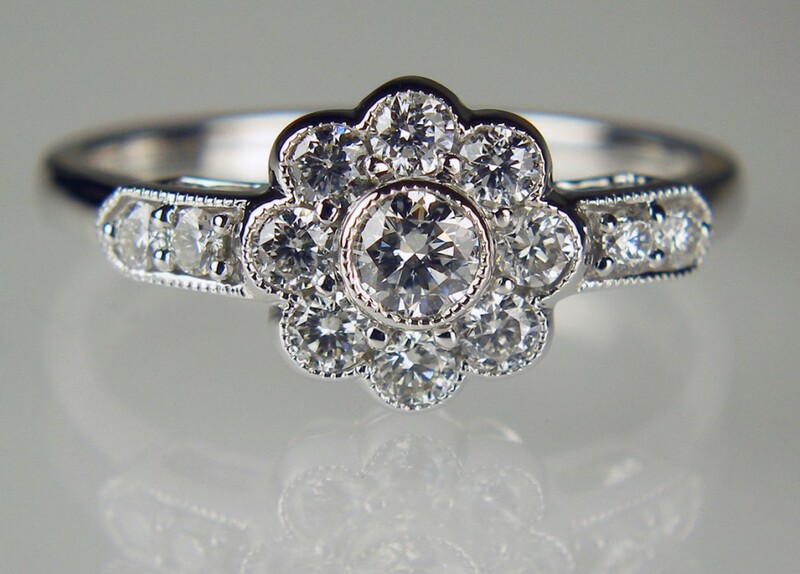 0.20ct round brilliant cut diamond G/VS quality set in 18ct white gold. 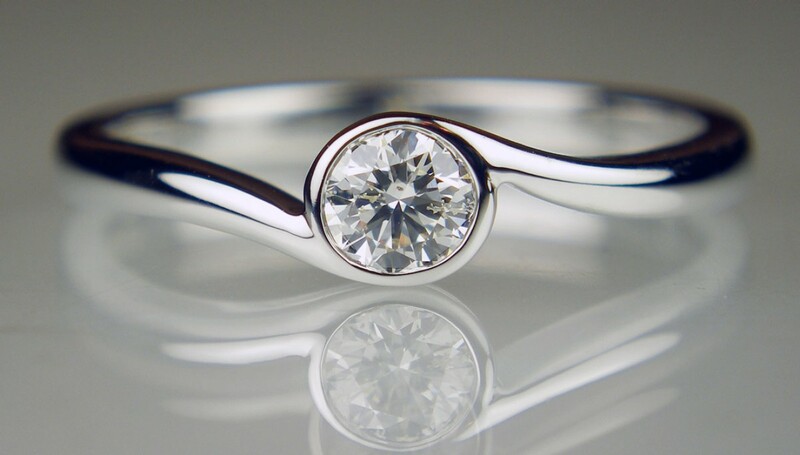 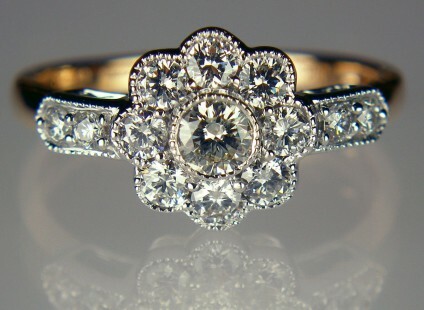 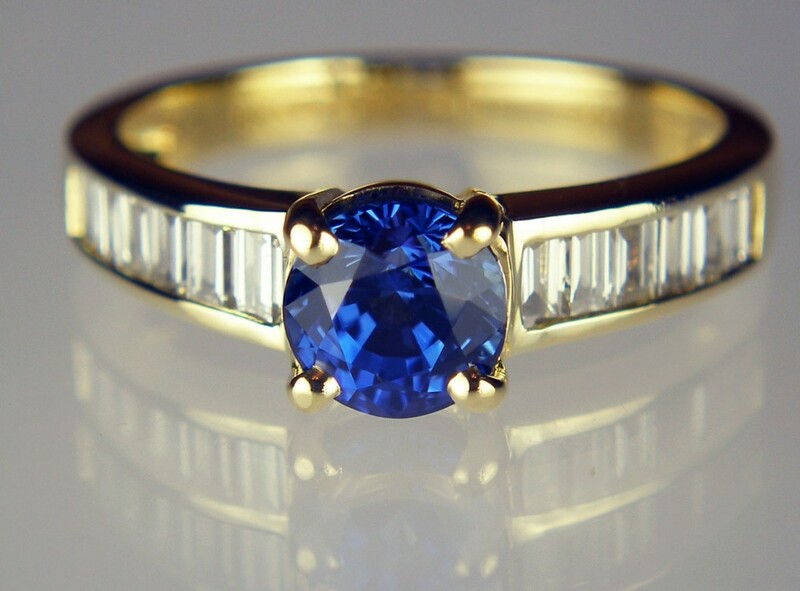 Excellent quality, elegant and a perfect engagement ring! 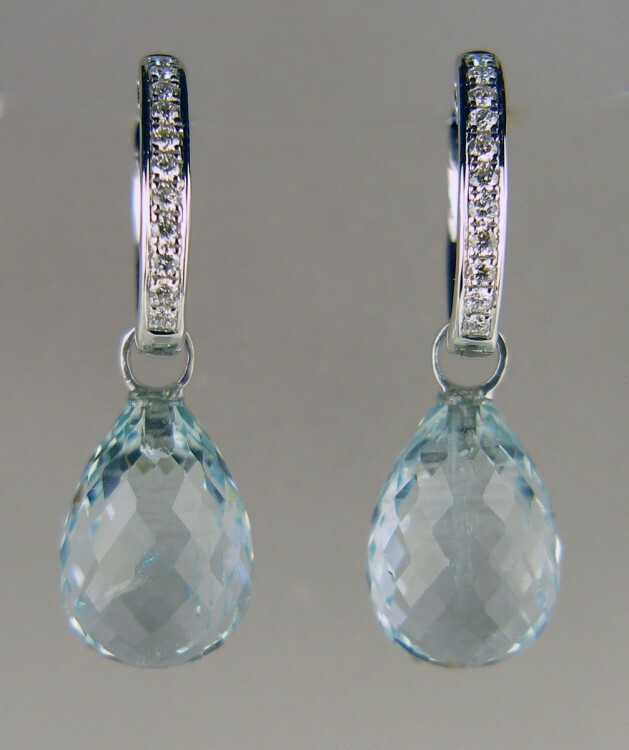 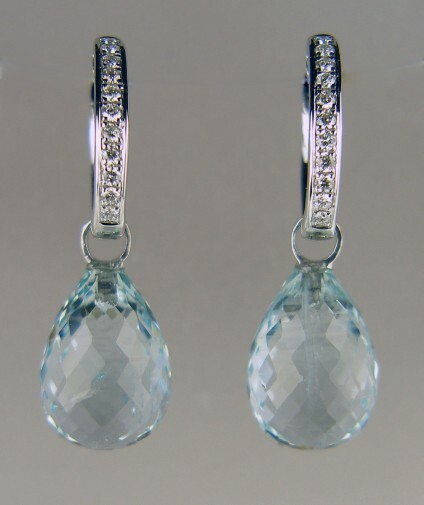 18.72ct briolette aquamarine pair mounted as removable drops suspended from 0.25ct diamond hoop earrings in 18ct white gold. 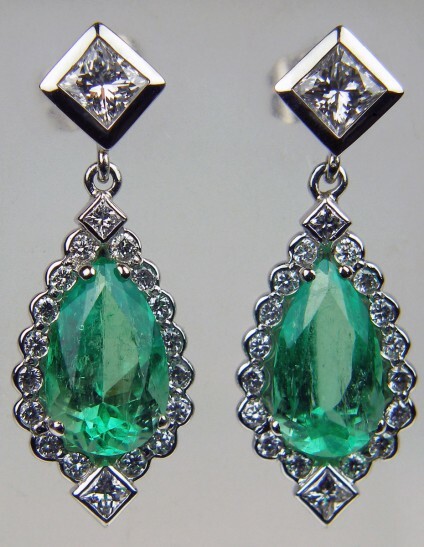 Drops £1195, hoops £575, can be sold separately. 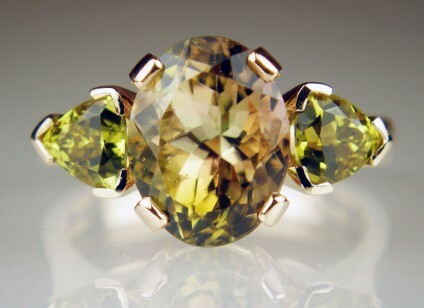 Bright and highly wearable! 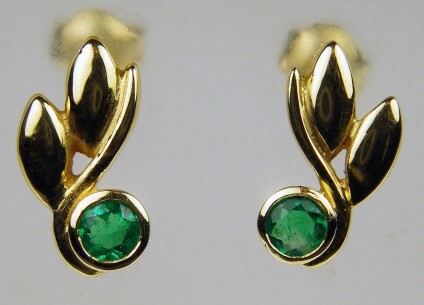 Colombian emerald rounds set in 14ct white gold hoop earrings. 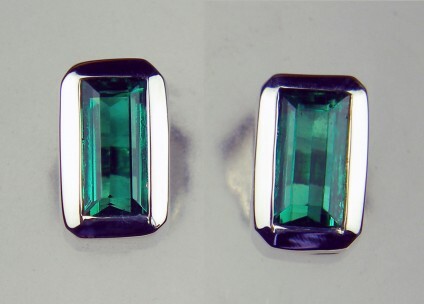 Earrings measure 18mm in diameter. 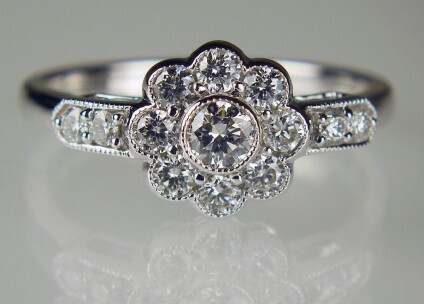 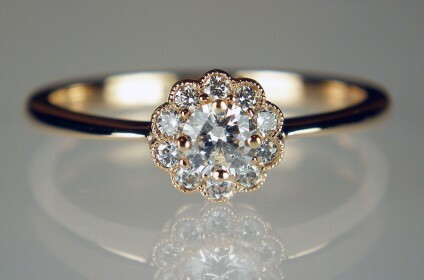 0.60ct total diamond weight cluster ring. 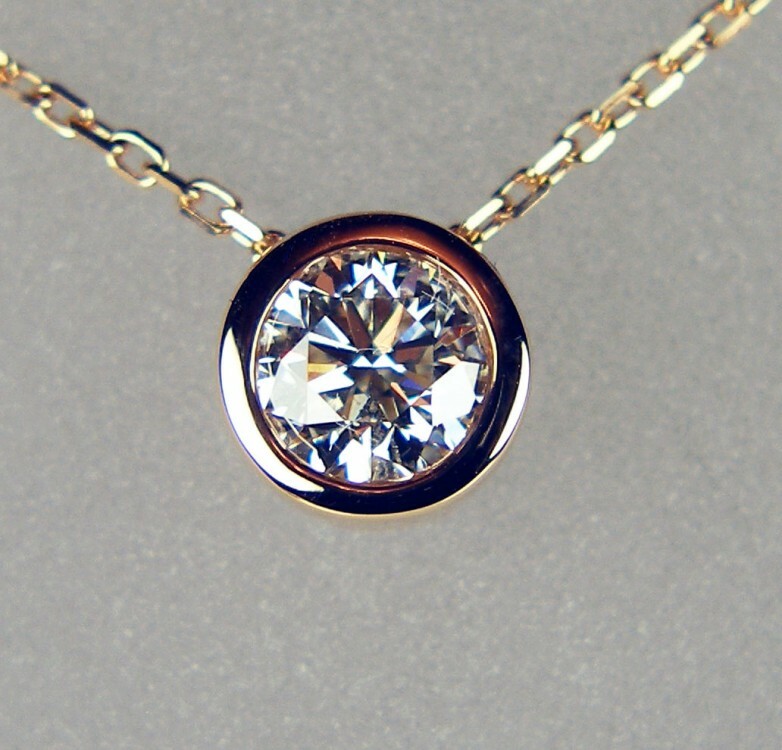 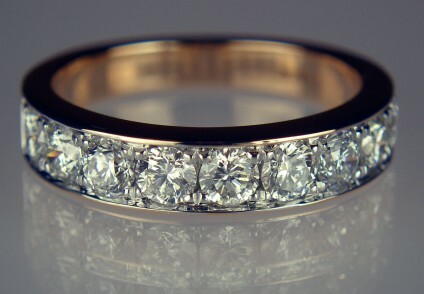 Set with G colour VS clarity diamonds in 18ct white gold with an 18ct rose gold shank. 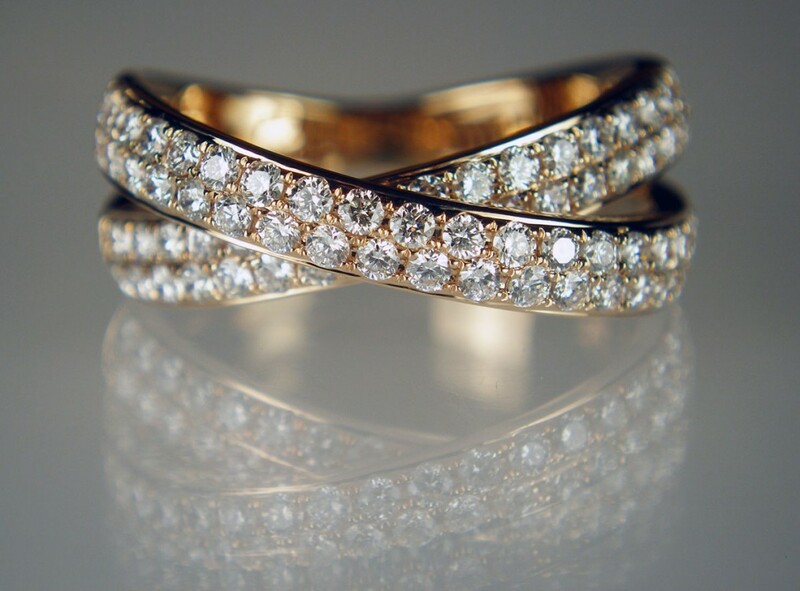 1.25ct of round brilliant cut diamonds in G/VS quality set in three colours of 18ct gold, rose, yellow and white, in a dramatic and beautiful ring that has a Russian wedding band type appearance, but without the bulk of three rings, as the shanks are fused together on the reverse side. 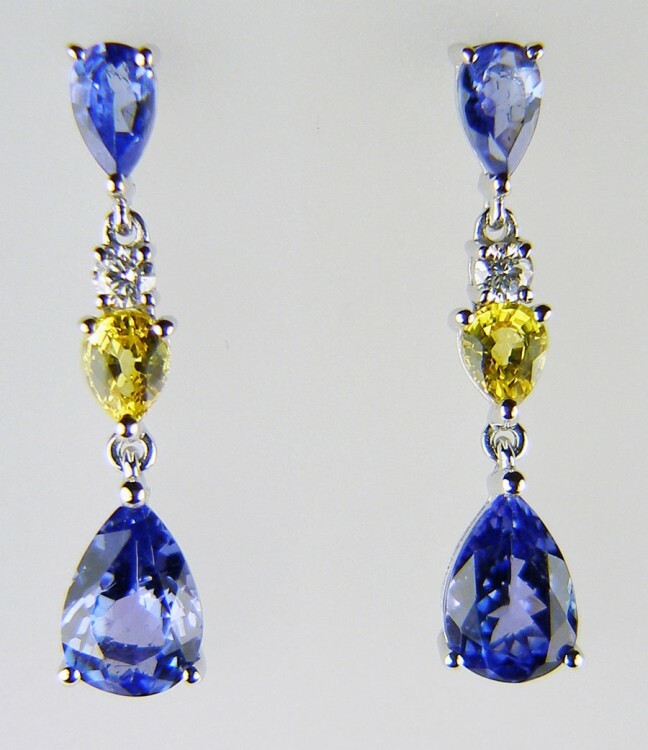 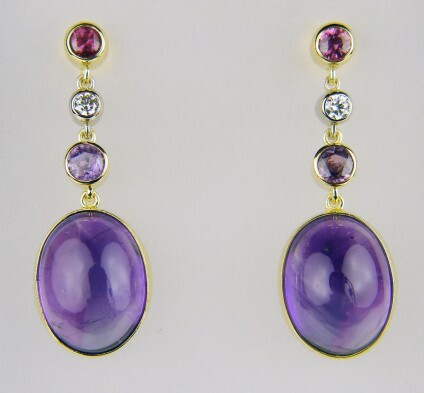 Delicate drop earrings set with 1.82ct tanzanite pear cut pair of pairs, 0.39ct yellow sapphire pear cut pair and 0.06ct of round brilliant cut diamonds in 18ct white gold. Round brilliant cut certified diamonds (G/H colour SI clarity) totalling 1.41ct in 18ct white gold rubover setting. 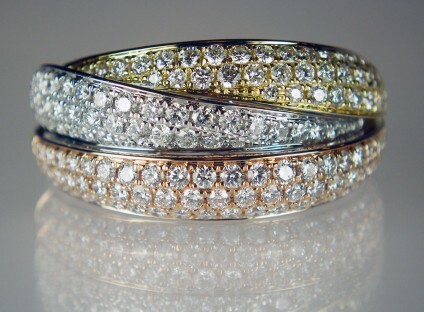 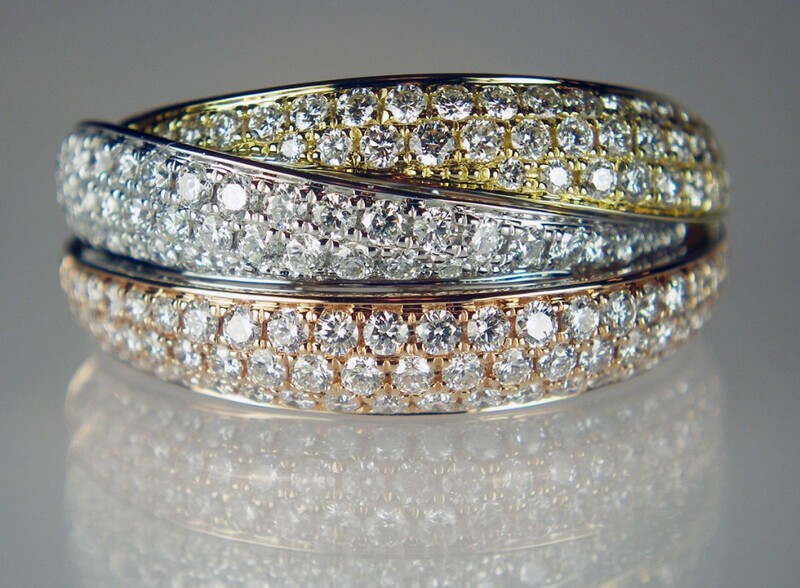 G/VS diamond rounds totalling 1.00ct and mounted in 18ct white and rose gold half eternity ring. 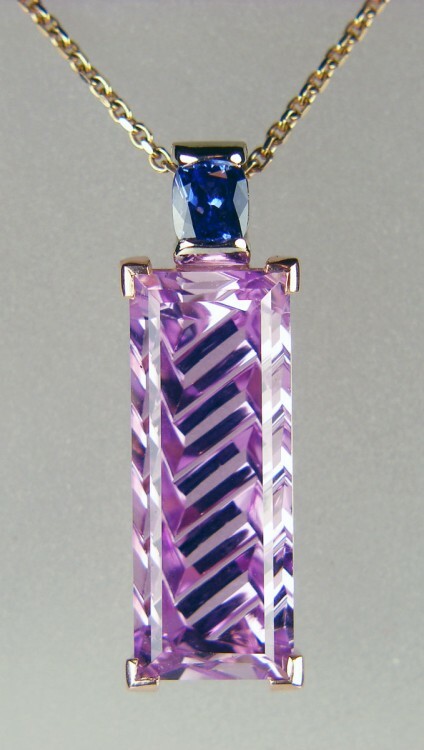 A real dazzler! 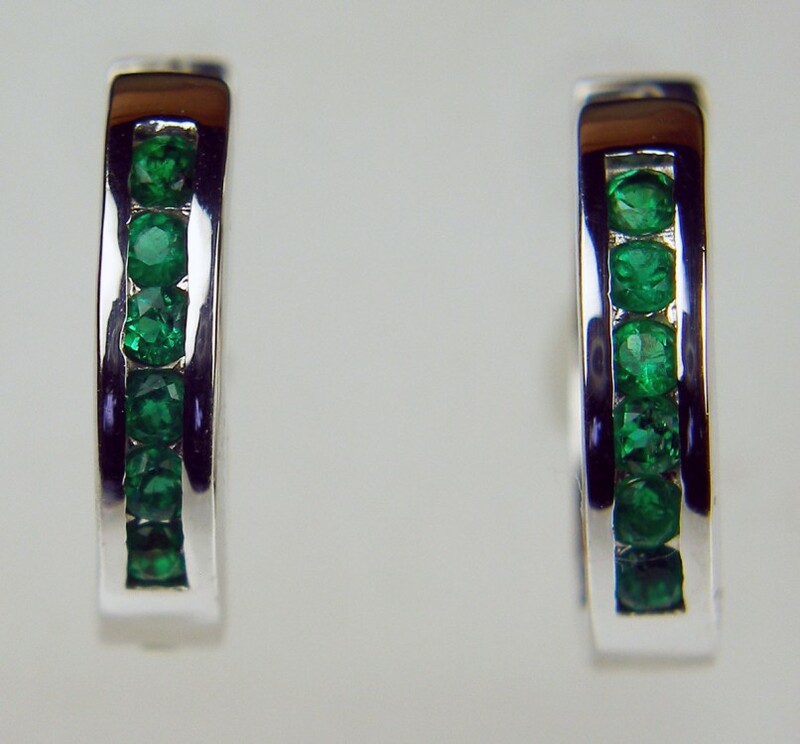 Emerald & diamond earrings in platinum set with a 4.22ct pair of pear cut Colombian emeralds and 1.35ct diamonds in F/VS quality. 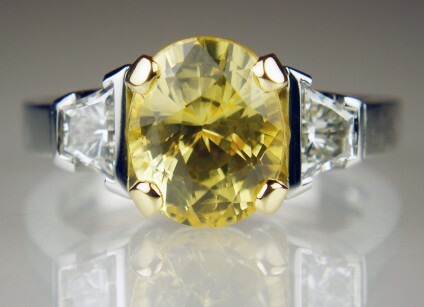 Largest diamond are a pair of 0.33ct princess cuts. 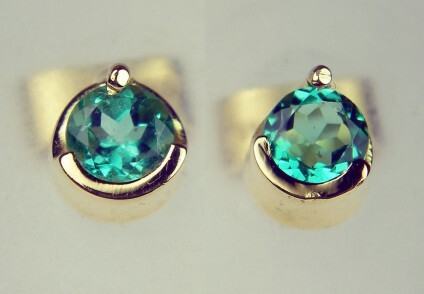 Total earring length 29mm. 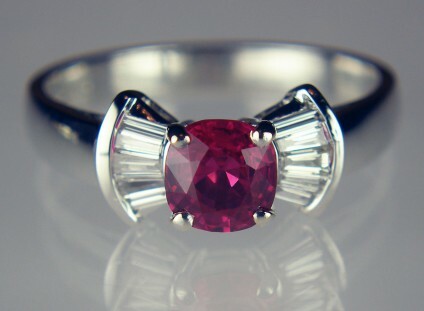 Exquisite, bright and very clean, Burmese cushion cut ruby 0.85ct set with 0.26ct of tapered baguette cut diamonds in 18ct white gold ring. This is a beautiful ring, Helen Plumb bought the ruby in Myanmar in 2017. 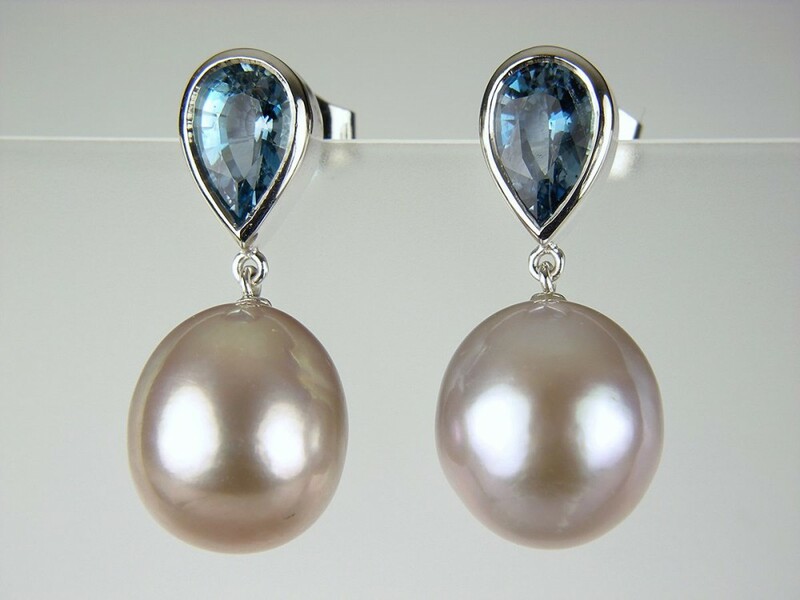 Aquamarine & cultured pearl earrings in 18ct white gold. 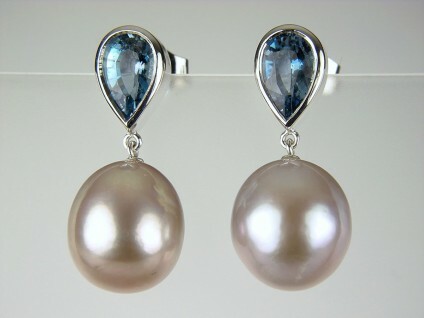 1.65ct aquamarine pears with lilac grey natural coloured pearls in 18ct white gold. 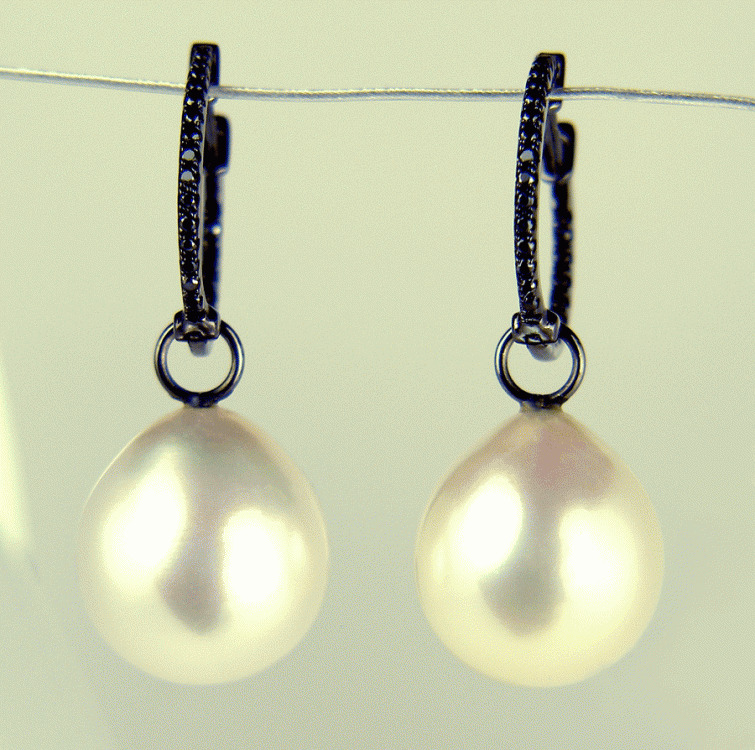 Super sparkly spherical faceted black diamond ball pair weighing 4.75ct, 6.9mm in diameter, on 18ct white gold posts. Simple, elegant and beautiful. 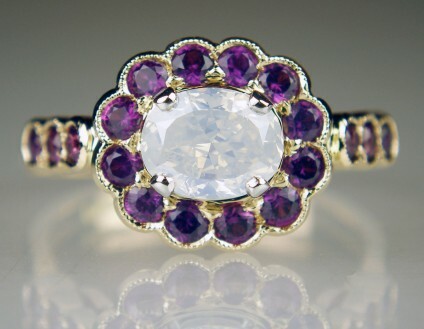 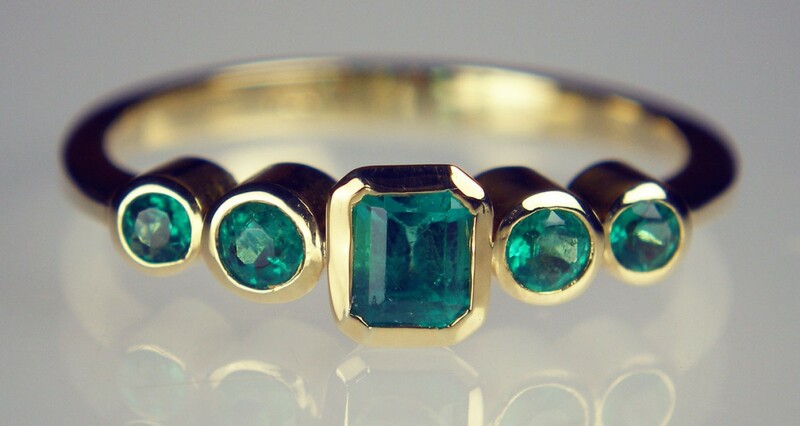 Most pieces are made to order, please contact Just Gems to see more. 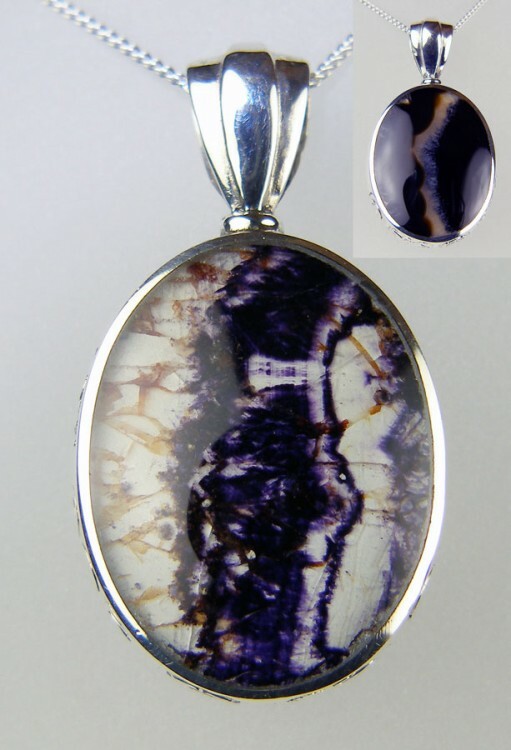 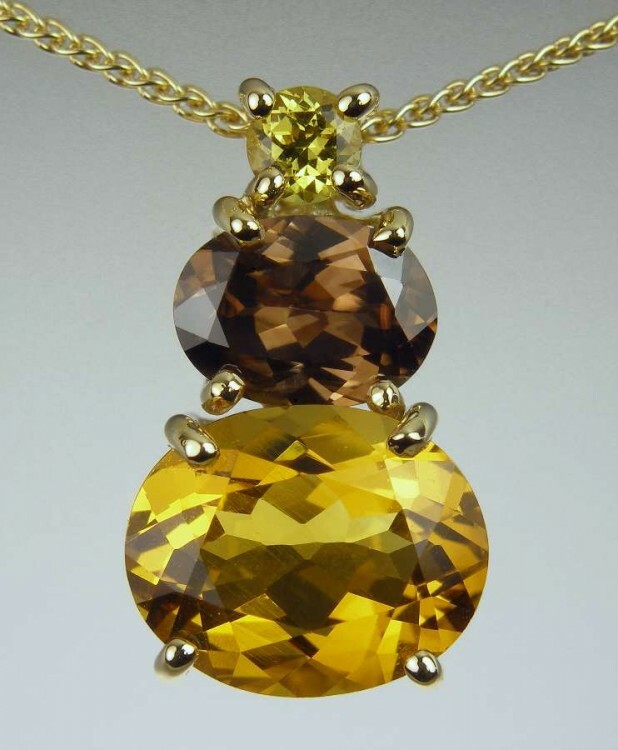 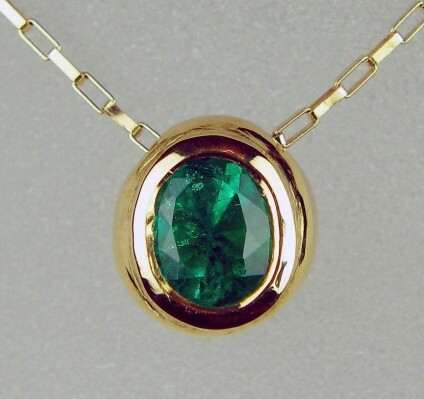 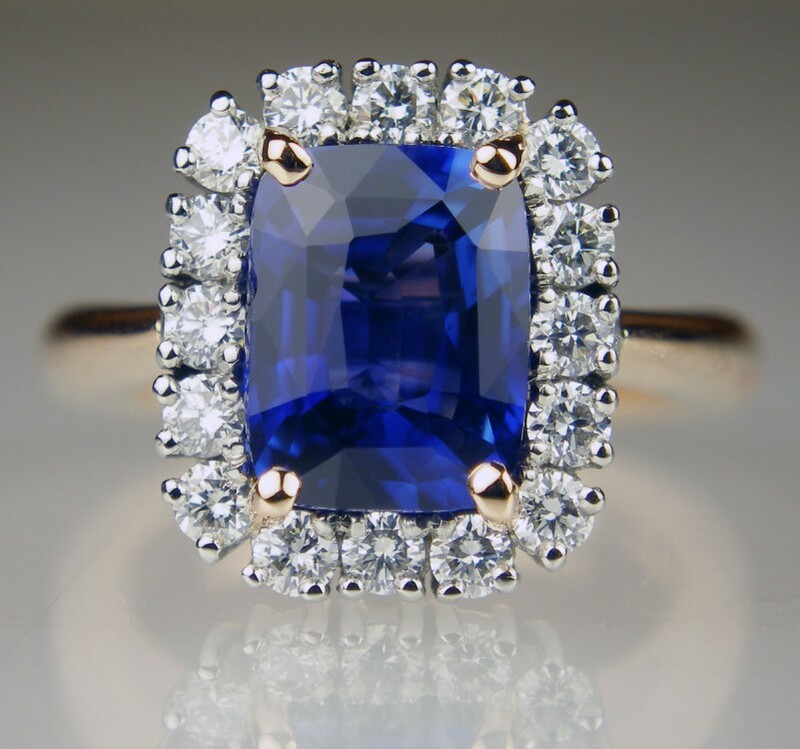 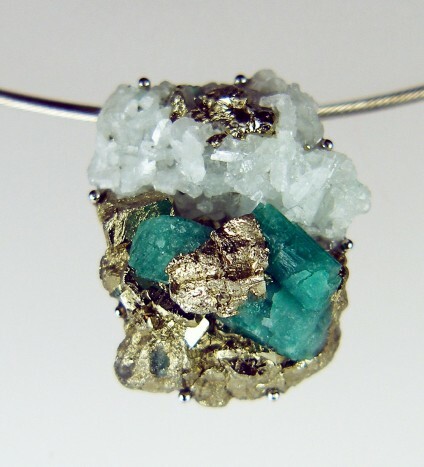 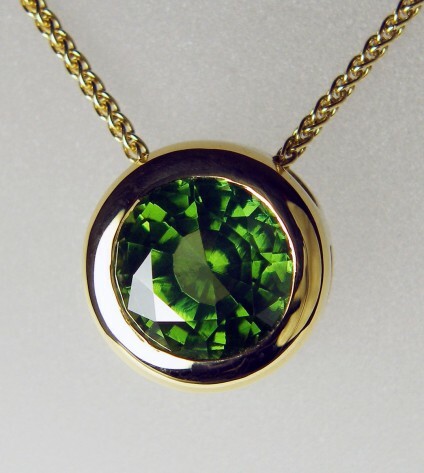 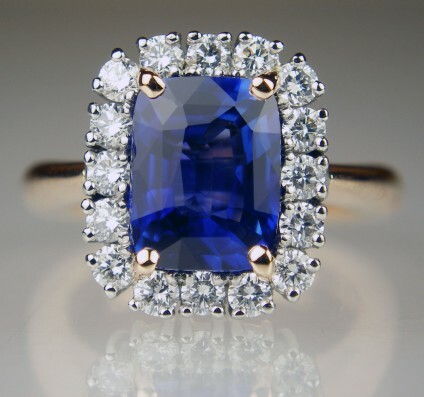 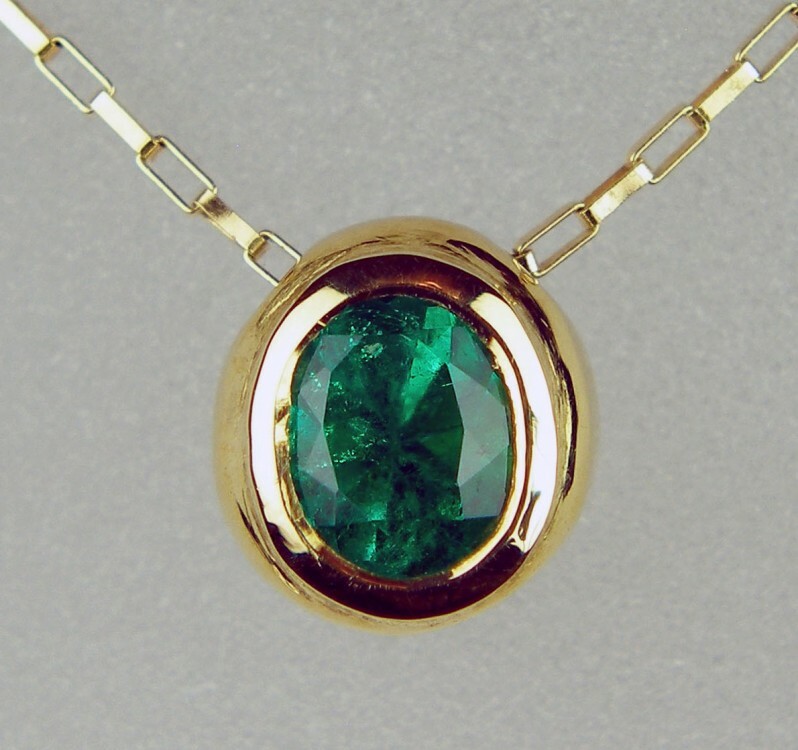 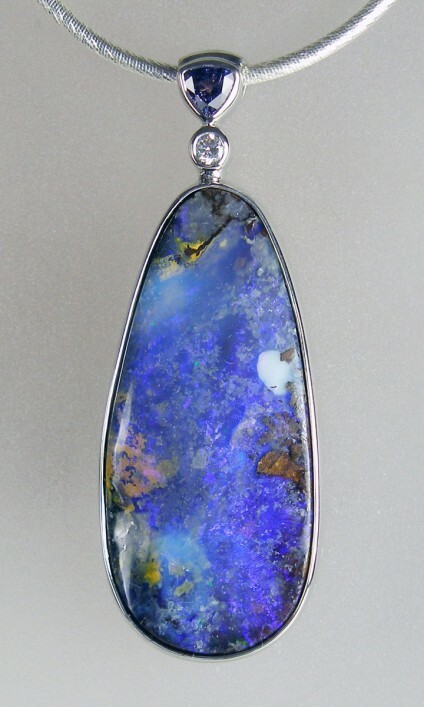 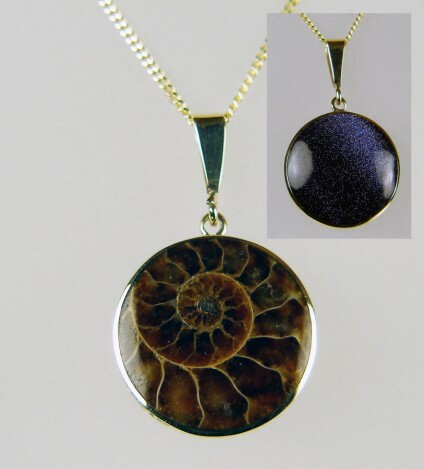 We also have an exceptional range of rare gemstones available, visit our shop to see them in person.